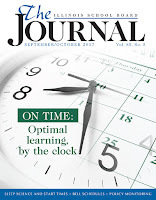 Time is not only of the essence, it is the essence of the September/October issue of The Illinois School Board Journal. Readers will discover the circadian science of sleep, and how it impacts student performance in school. 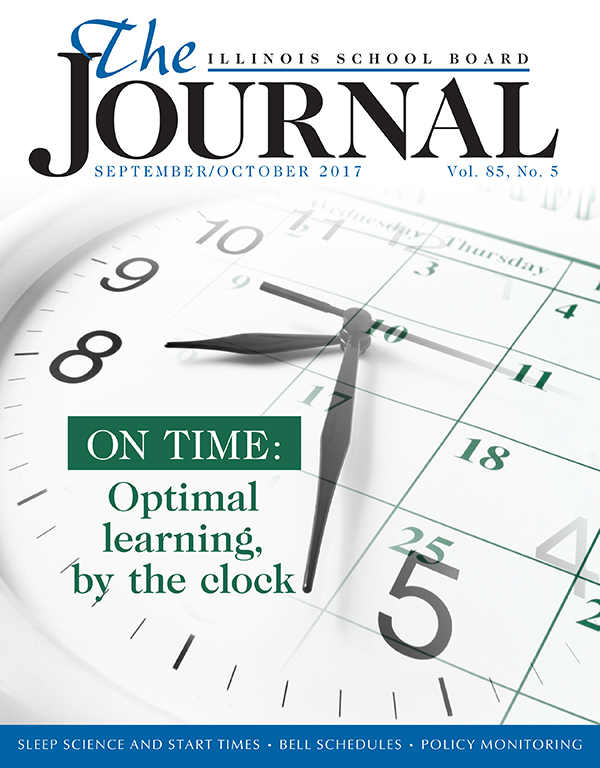 In a related matter, discover the process Barrington SD 220 used to alter its start times to make “Optimal time for learning.” The Journal also explores how Maine THSD 207 is setting a new schedule with the goals of maximizing personalized learning and enhancing student services. Find out why IASB recommends reviewing and monitoring policy in a timely manner, and about the KIDS tool being employed in kindergarten classrooms. 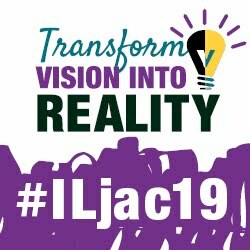 Watch your mailboxes for the printed edition, or click here or below to read the complete digital edition of the September/October Journal.